Resource > DVD > How to Extract Audios from DVDs in 2019? Summary: How to extract audio from DVDs? This article lists 3 best DVD audio extractors in 2019 and shows you how to rip DVD to audio formats like AAC, MP3, M4A, WAV etc. If you're still around with a box full of DVDs while all your neighbors already got them converted to digital formats and even have them saved in their personal cloud storage service, chances are that there is still time before its afternoon. You can do all those DVD ripping and save your audio files over a weekend or maybe half a dozen weekends using DVDFab DVD Ripper. It is a ripper or a DVD audio extractor that works in seconds and completes extracting audio from DVD, converting them to one of the many formats that media players can play and save it to your hard disk. Yes! It can do all that with just a click of a button. It can do them simultaneously and it can do them one by one too. However, there are other alternatives too, so that depending on your compatibility and convenience you can choose one among them, and get the job done, that is, extract audio from DVD. Of course, in 2019 itself! This is an innovative piece of software or DVD audio extractor that hides under its hood latest standards of CPU and GPU computing to utilize as much as a resource available at hand to speed up the process and make the task as fluid as possible. The UI also is known as the user interface is an important part of making things simple and friendly. On launching DVDFab 10, you get several options from the tabbed windows above, from where you should select Ripper. This gives you further 3 options, that is, video, audio, and 3D. Here you select the audio and move ahead with the various file formats specified and choose one of them. The MP3 is the most widely used standards these days, so you can go with it. Now, you can load the source DVD into the DVD player. When it is active, the DVD drive of Windows or other system shows that a media device has been inserted. The longest titles can be seen automatically as DVDFab Ripper reads through the entire DVD in seconds. This allows you to choose which titles to start ripping or rip the entire DVD. Then, you can also choose advanced settings at this moment for bit-rate, audio track and so on. Then, finally hit the Start button, which will start the process. In case you've queued up a long list of actions, you can also choose the program to shut down the computer after it's over, leave it and go and get some fresh air. The technologies that DVDFab DVD Ripper makes use of including Intel Quick Sync, NVIDIA's CUDA cores that allow the program to efficiently use inbuilt or external dedicated graphics card of the computer to do computing while reading and writing content to extract audio from DVD. This reduces CPU load and allows you to do multitasking without changing the system. Let us begin with a free service to extract audio from DVD that has gained popularity in 2019. It is primarily for Linux users who wish to have a lot of controller options under the hood. The Handbrake is primarily renowned as a video transponder and used for compressing videos into very small files for web storage and sharing. But, it also has the ability to make use of multi-threading and batch processing capabilities that allow it does more than just that. You need to insert the DVD into the DVD player, go to Handbrake and click on Source to browse to the drive and select it as the input folder. Now, select a location for the file name by browsing in the DVD. Then, select any of the presets or you can choose your own file format for output. You can also add it to queue and keep adding stuff. You may now choose the desired output location depending on whether an external drive is where you need them to be. Then, you can click on Convert/Save. You can see the progress as it goes by and it will notify you once it is done. You can browse to zamzar.com that allows you to upload DVD or VOB files and extract audio from DVD to music formats like MP3, AAC, M4A etc. for media playback on your favorite devices. It is a cloud-ready platform, so the things are stored in the cloud. You will have to upload and download them once the actual conversion is over. This post shows you how to extract audio files from DVDs but if you also want to extract MP3 or other audio files from videos you can have a look at the methods to convert videos to MP3. 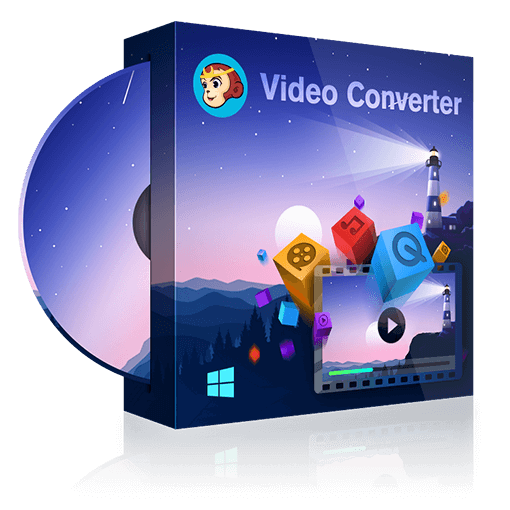 Do you have a best VOB converter to convert VOB files to any other video/audio formats? Here we will help you to learn VOB files and introduce the best way to convert VOB. Are you looking for a tool to rip videos from DVDs? Here is the detailed guide of ripping videos from DVDs with DVDFab DVD Ripper. Netflix is one of the best platform to watch those classic movies. Here we have made a list of top 10 best classic movies on Netflix for you to watch at your leisure time.